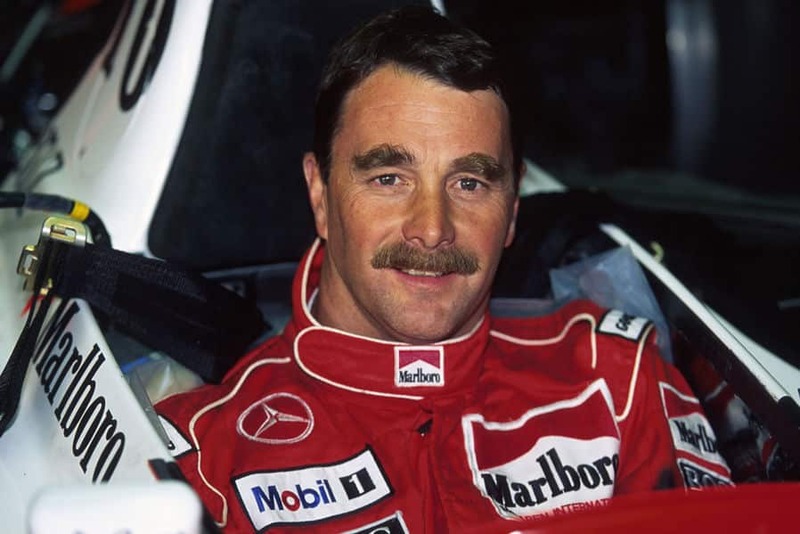 Motor racing legend Nigel Mansell is one of the most talented British Formula One drivers of all time. Hugely determined, immensely aggressive, spectacularly daring and with a win or bust approach – 31 wins and 32 crashes – he became the most successful British driver and ranks third in the world in fastest laps, fourth in wins and fifth in poles. Nigel began his F1 career in 1981 as part of the Lotus team and received his first podium after only 5 races – a sign of things to come. Just 4 years later, at the European Grand Prix at Brands Hatch he got his first win. In a span of 18 months he won 11 races, yet lost out on two World Championships he was poised to win. In 1986, he was awarded the title of BBC Sports Personality of the Year and in 1989, he had his debut race for Ferrari, where he was nicknamed ‘Il Leone’ (The Lion) for his aggressiveness on the race track. Mansell won his first race for the Italian team in Brazil – A truly memorable race weekend. Nigel returned to the Williams team in 1991 with the sole goal of winning the World Championship. The season was successful and the following year on the 16th August – his daughter Chloe’s birthday – his dream became reality in Hungary: to stand on the podium as the 1992 Formula 1 World Champion. In the same year, Nigel was once again named BBC Sports Personality of the Year. As reigning F1 champion, Nigel made the move to CART, becoming the first person to ever win the CART title in his debut season, and making him the only person to hold both titles simultaneously. In 1994, Williams persuaded him to return for the final four races, the last of which, in Australia, he won in stunning fashion from pole position. After 187 hard races in 15 tumultuous seasons, 41-year-old Mansell retired from Formula One. Life after F1 has been successful. 2009 saw Nigel appear as the ‘Face of Euronics’ and 2010 saw him paired with comedian Omid Djalili in a TV advert for price comparison site, Moneysupermarket.com. Nigel now resides in Jersey with his wife Roseanne and has a daughter Chloe and two sons, Greg and Leo. When Nigel isn’t playing golf he can be found operating The Mansell Collection in Jersey, one of several successful businesses enterprises. Nigel is committed to his Presidential duties at UK Youth, a charity that provides tools to build young people’s self-esteem, aptitude and skills as well as to identify areas of development. In 2012, he was appointed a CBE for services to children and young people. September 2015 will see Nigel publish a new memoir with Simon & Schuster. The book will provide a definitive insight into his life. His enduring popularity, fascinating views on many issues surrounding the sport, vivid reaction of the high-octane world he inhabited and great sense of humour will ensure this is a must-read for all motorsports fans and beyond. Watch this space! Nigel is available for Q&A and after dinner speaking.